Allegations of sexual misconduct may have temporarily derailed production on MTV’s “Catfish” earlier this year, but after being cleared, Nev Schulman now says the whole ordeal only affirmed that they’re doing things right. 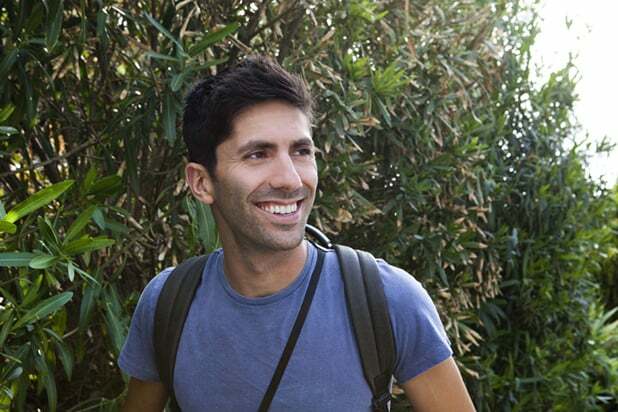 Last month, “Catfish” resumed production after a weeks-long investigation into accusations of sexual harassment against Schulman made by a former participant, that found those accusations to be “not credible and without merit.” And though there was a brief conversation about how to prevent such situations from arising in the future, Schulman said he returned to the show with new conviction. 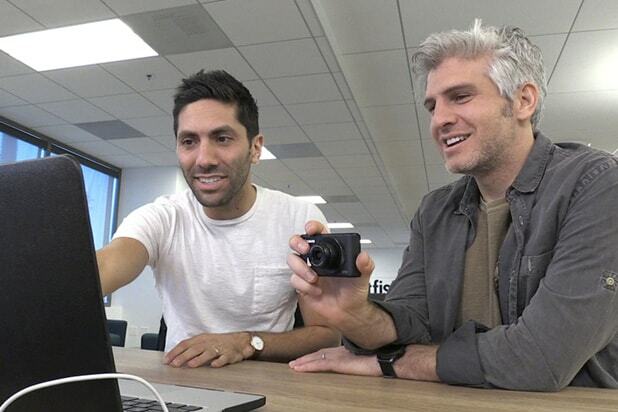 Now, “Catfish” is about to resume airing its seventh season, a new run of episodes about people who’ve formed online relationships with people who may or may not be who they say they are. For Schulman, that involves guiding people at an especially emotionally fraught period in their lives, and the host says he’s not going to let what’s happened change the way he approaches that role. TheWrap: “Catfish” has a pretty basic premise, this idea of investigating online relationships, and I think some people might not have expected that to sustain such a long run. But now you’re heading into season 7. Going into it, did you see yourself doing this show for this long? Schulman: I certainly didn’t, and there was definitely a phase around season 3 or 4 where I thought, how long can this go? We should probably stop. There was a concern for me that I would become the host of this outdated and increasingly irrelevant show and that would be my calling card for the rest of my career. But as I’ve come out of that phase now, and as the culture has evolved, I think it’s been quite the contrary. The importance and relevance of the show continues, and if anything it’s more relevant now than ever. The shock and surprise about the act of catfishing might not be as meaningful, but the need for people to have some sort of outlet to express themselves, to connect with each other, to experience things, to identify themselves, has only grown. The internet has changed how we act, and I think there’s a reaction to that that people are confused by. We’re one of the only shows that’s trying to deal with identity and sexuality and relationships in this modern age. That element of gender or sexual identity and the ways people grapple with that online is a recurring theme that I certainly would not have predicted before the show premiered. Were you surprised that that became such a big part of the show? My personal experience getting catfished was so robust in terms of the emotional foundation that this woman had built in this fantasy world, but it didn’t deal specifically with sexuality or gender in that way. So yeah, going into the show, it was a surprise. I remember the first episode we shot was about a girl in Tuscaloosa, Alabama who was gay, but growing up in a community she very much didn’t feel comfortable being gay in. To see how necessary it was for her to find some way to come out and express that, that immediately showed me that, yeah, this is going to be a recurring theme on the show. I’ve learned so much. My vocabulary and my understanding of the many variations of gender and sexuality is definitely something that I’m really proud of. And I think it’s a big part of why people watch the show. Do you still find yourself learning new things like that, or being surprised by the kinds of people you meet? Or has it become routine in that way? It’s funny because the format of the show we’ve become so familiar with, in terms of the production of it. I know day to day what kinds of scenes we’re going to be filming. All that stuff I’ve become really accustomed to. But honestly, the thing that makes the show fun and interesting to me — and allows me to continue doing it seven years later — is the unpredictability of the things people are going to say and how they are going to feel. And then when you mix two people together, you really don’t know what’s going to happen. We had a couple episodes this season where you really couldn’t make this stuff up. It’s wild the things that people will think of and the scenarios people will put themselves in. It never ceases to interest and amaze me. It seems like people, especially younger people, are so comfortable with the internet and social media now, but obviously this keeps happening. Why do you think people are so willing to put their better judgement aside, even in 2018 when it’s so easy to find out when people aren’t who they say they are. Something that I’ve become more and more aware of is that there seems to be a need for privacy in people’s everyday lives. People are so public, we live our lives online for everyone to see. But there seems to be a counter-movement to that where people want something that’s just for them. They want a friend who is only theirs, someone who nobody knows about and they don’t talk about. So when someone pops up online who is not connected to your life or a part of a friend group, I think there’s something exciting about keeping a secret. And it doesn’t necessarily start off as a love story, it’s more like a pen pal. A sense of intimacy develops, and when you keep something private it can trigger a lot of those feelings we associate with romance and affection. Before you know it, you’re dating someone for a year and you didn’t even mean to be, but you’re in love with them. So while it seems like technology would make it harder to get catfished, in some ways it’s making it more common. I also want to ask about the sexual misconduct investigation that briefly paused production on this season. MTV found that the allegations against you were “not credible,” but what was it like for you going through that process? It was very, very difficult. I wouldn’t wish it on anyone, to be accused of something you didn’t do. Unfortunately, media culture being what it is and social media being what it is, we are in a time where you are sort of presumed guilty until proven innocent. So that was tough. I had a hard time. It was difficult for me and my family, with all the uncertainty. Even though I knew I hadn’t done anything wrong, I had to wait and let the process unfold. Coming out of it now, it was a real learning experience for me. Not only in my ability to manage stress and frustration, but also learning that it’s a process. Some things are out of your control and you have to let it take its course. I’m so grateful, not only to my fans and the support that I received from everybody across the internet, but also from friends and family. And from MTV, who could’ve very easily said this is not something we want to deal with, but they didn’t. They followed the steps and saw that it wasn’t true, and valued the show enough to keep making it. That means a lot to me and I’m so happy to be back to work. A big part of your role on the show is opening yourself up to these people as a sort of emotional sounding board. Has this changed your approach at all? How do you keep from letting this make you jaded going into these interactions? That was actually a conversation we had before we went back into production. There was a discussion about what we should to do. Do we need to be more careful? Do we need to change the way we do things? And of course being more sensitive and aware is helpful, but I don’t think there’s anything I can do better. I’ve made 120 episodes of this show and I’ve never had a problem. There’s never been anyone who’s felt uncomfortable or mistreated by me or anyone on the crew. Knowing that this person’s allegations were totally false sort of reaffirms that we’re doing well. We’re taking vulnerable people at a very sensitive and difficult moment and gently ushering them through it, hopefully giving them useful advice and help, and we’re doing it pretty damn well. There’s never actually been a real issue. It almost confirms to me that we’re doing exactly what we should be doing. How do you view your relationship to these people? It’s tough because I’ve never felt about myself the way that I think some people feel about me in terms of me being a celebrity. So I just feel like I meet these people and I’m just curious about them. I think it takes a little while for them to realize that it’s a genuine thing, and that I’m actually a person, not necessarily who they thought I was. Then, in most cases I do like to think we become like friends. We’re on this weird journey together for the next three or four days. But it’s weird because the cameras stop rolling and I go back to my hotel room. There’s all this weird empty space where I want to be talking to them and asking more questions, but I have to wait until the next day. So there is of course this level of control that makes it feel somewhat unnatural, but hopefully by the end of it we’ve all shared something together. My goal is to make both sides feel like they’ve accomplished something and that they’re both better off for it. Do you have one episode that sticks out in your mind as the reason you do the show? There have been a few over the years. There was an episode, probably in season 3 or so, about a young woman named Kaya. She had been adopted by a white family, but she was multi-ethnic and sort of heavy and had very different interests from her family. She met this guy on Vampire Freaks, a website I had never heard of, but her profile photo was of a very conventionally pretty white girl. She had actually told him that she wasn’t the girl in the pictures, but he didn’t care and was still really excited to meet her. Then when we met him, and he turned out to be a transgender man named Danny who also didn’t look anything like the pictures he had used. Where these two people had every reason not to connect or listen to each other or care, it was the opposite. They genuinely had a connection that transcended all of that, and ended up dating for some period of time. We always talk about that. We’re at a point now where we go in half assuming that it’s not gonna be the person in the pictures. But we’re always hoping we might get a Kaya and Danny situation where they’re so in love with each other that it doesn’t matter what they look like. They’re just human beings who connect with each other. 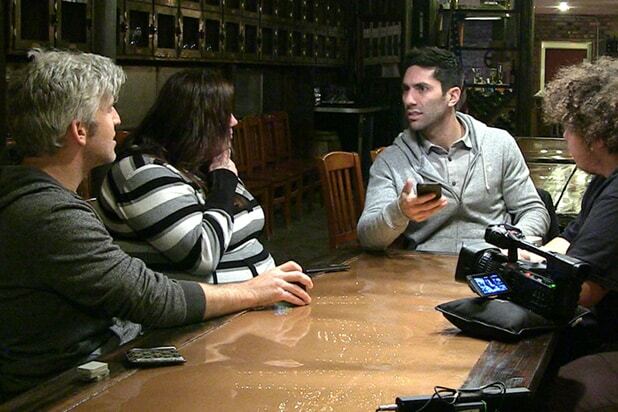 “Catfish” airs Wednesdays at 9/8c on MTV. MTV's "The Challenge: Final Reckoning" will force enemies to find a way to bury the hatchet and find a way to work together as a team for the prize money. It's a compelling conceit, but one that requires decades of backstory spanning several different TV franchises. So TheWrap has compiled a helpful primer of everything you need to know about the "Final Reckoning" cast feuds. Kyle ("Geordie Shore") and Brad ("Real World San Diego") first met when they both competed on "Vendettas" and ended up on competing alliances throughout the game. At one point, Kyle swore that his biggest vendetta would always be against Brad. Nelson ("Are You the One?") and Shane ("Road Rules Campus Crawl") were initially on the same team for "Invasion of the Champions," but when Nelson learned of various side-deals Shane had been making, the two clashed frequently. After competing on "Dirty 30," Cara Maria ("Fresh Meat 2") made an enemy of Marie ("Real World St. Thomas") by liking a number of tweets making fun of Marie, including one wondering why she keeps getting invited back on the show. Jenna ("Real World Explosion") and Jemmye ("Real World New Orleans 2") started off on good terms on "Dirty 30," with Jenna once offering Jemmye protection from elimination. But things went south when Jemmye betrayed her by sending her into elimination against her best friend. Kam ("Are You the One?") and Melissa ("Ex on the Beach"), both rookies on "Vendettas," made big impressions on their debut season with a heated confrontation that nearly got physical. Kailah ("Real World Go Big or Go Home"), along with a few of her friends from "Vendettas," took Kayleigh's ("Ex on the Beach") luggage and threw it off the balcony. Upset by what she described as "bullying," Kayleigh quit the game. The beef between rookies Angela ("Bad Girls Club") and Faith ("Vanderpump Rules") dates back to when they were both on "Ex on the Beach" and dated the same guy. CT ("Real World Paris") and Veronica ("Road Rules Semester at Sea") have been competing on "The Challenge" together for more than a decade. Which is why it especially stung when CT put her up for elimination on "Dirty 30" and claimed no one wanted to be on her team. Fortunately for Veronica, she came out triumphant in the elimination and quickly got her revenge. On "Invasion of the Champions," Amanda ("Real World Ex-Plosion") spread a rumor, later revealed to be true, that Zach's ("Real World San Diego 2") ex-girlfriend had hooked up with someone else on the plane. Britni ("Are You the One?") and Chuck ("Are You the One?") dated for a while after appearing on the same season of the dating show. Their beef evidently stems from the way Chuck dumped Britni after she competed on "Dirty 30." Sylvia ("Real World Skeletons") and Joss ("Ex on the Beach") don't seem to have much bad blood between them, but Joss did vote Sylvia into elimination when they both competed on "Vendettas." Paulie ("Big Brother") and Natalie ("Big Brother") first met on the CBS competition show, where Natalie led the charge to have the houseguests vote Paulie out. Upset about his impending elimination, Paulie lashed out, making some sexist and generally mean-spirited comments in the process. Tori ("Are You the One?") cheated on her then-boyfriend Derrick ("Are You the One?") after he was eliminated from "Dirty 30." Da'Vonne ("Big Brother") and Jozea ("Big Brother") can't seem to agree on whether or not they really planned to take each other to the end during their season of "Big Brother," but Da'Vonne made the first move and orchestrated Jozea's exit.